New Zealand based asbestos specialists ATL Group (www.atlgroup.co.nz) are now live with asbestos software Alpha Tracker from Start Software. 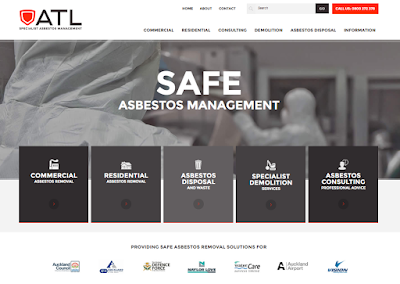 ATL pride themselves on their professional approach to asbestos management and they will be using Alpha Tracker to increase their efficiency and enhance the service they provide to their clients. To find out more about Alpha Tracker in New Zealand and Australia, contact our specialist Judy Key who will be pleased to tell you more. 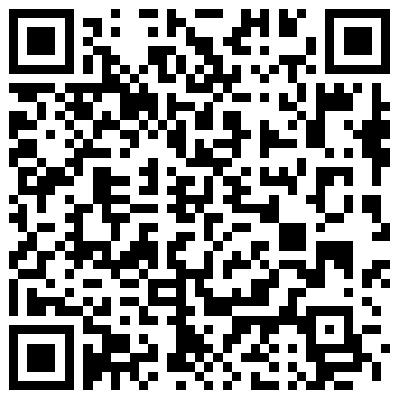 We've just launched a vehicle inspection app for Android and Apple. It is completely flexible allowing custom sets of questions to be created for different vehicle types. It also features QR code integration so that QR codes attached to different points on the vehicle trigger a specific set of questions to be answered! 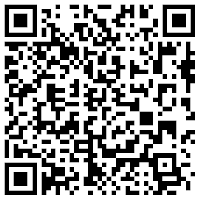 Built using the amazing Alpha Anywhere development platform, the app is fast and super easy to use. Get in touch if you're interested in the app or want us to build something similar for your business. 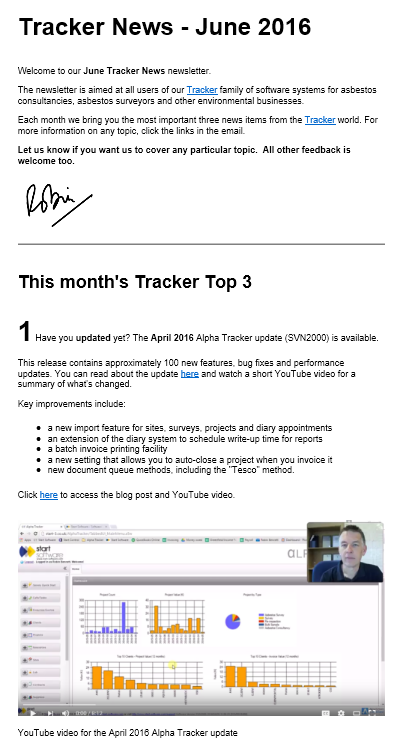 Users of other asbestos software systems switching to Alpha Tracker. All welcome! We've had an increasing number of calls this month from users of other asbestos software systems. Amianto users, for example, have been calling to see if they can switch to our asbestos software, Alpha Tracker. 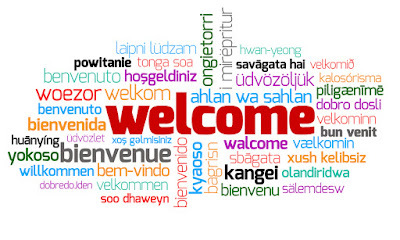 Do we welcome everyone? Absolutely! In many cases, we can even import your old data. Give us a call or get in touch via our website to discuss your options. We've been working for a couple of months for a client on a new legal documents system to replace an ageing PHP-based web application. The development is complete and will be going live on Monday with hundreds of users switching across to the new Alpha Anywhere-based system. The application has been built to work seamlessly on laptops, tablets and even large smartphones using Alpha's responsive design capabilities. 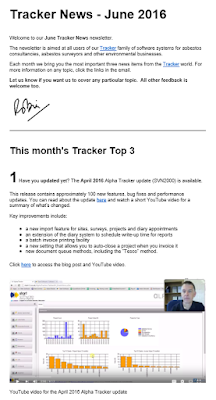 Have you had your copy of the June Tracker Newsletter with all of the latest information about asbestos software Tracker & Alpha Tracker? 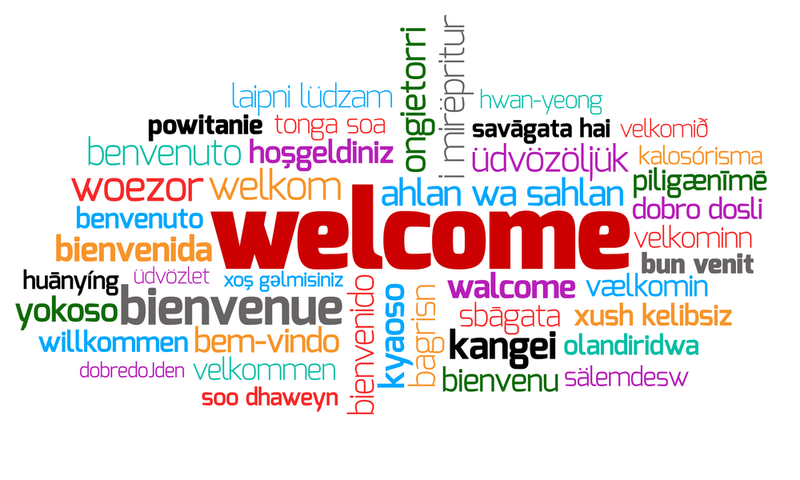 If you are not a subscriber, email the office (info@start-software.com) and we'll add you to the mailing list. Our new Alpha Tracker asbestos software "app" is in beta test and we are looking for extra customer testers to help us to check it is ready for launch. The app is multi-purpose and is the perfect partner for Android and Apple devices alongside our web-based Alpha Tracker software system. Beta testers will get to see and use the app before it is publicly launched and will get preferential pricing and other benefits. Do contact Robin at the Start Software development office to express an interest. The Start Software Support Desk performed well again in May solving 93% of queries raised in the timescales set by our customers. This is similar performance to last month (see http://robinbennett.blogspot.co.uk/2016/05/aprils-support-desk-performance.html). More than 400 calls were taken by the support team and 1 in 4 were deemed to be "urgent" by callers. That's a big jump and we'll be taking time to understand why so many calls are being logged as needing a 2-hour response.